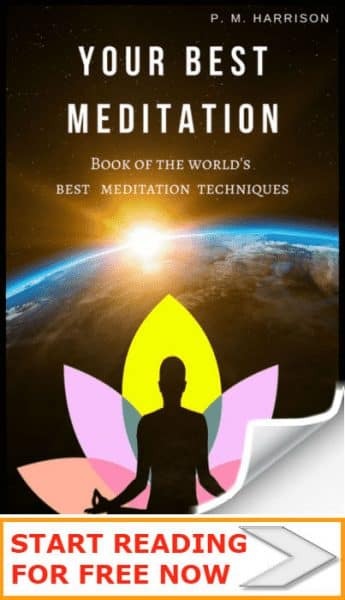 If you want to reach your highest self, I’ve got five meditations for self actualization that will help you to get there. When you achieve self actualization you will essentially achieve your purpose in life. There are five meditations for self actualization that can help you to get there. 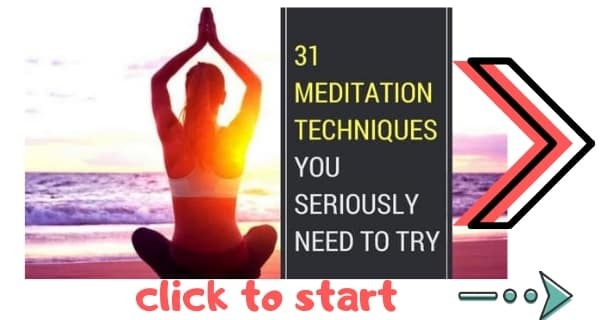 I’ll share the meditations below (you might like to start by reading my guide to the top 31 types of meditation). But first, let’s look at what is self actualization. Self actualization is the highest point on the hierarchy of needs. First comes physiological needs, such as the need for water, food and sleep, the very foundations of survival. Next comes safety, the need to have a secure environment. Our next need is love and the desire to belong. Self esteem comes next. We need to a sense of accomplishment and the appreciation, recognition and respect of others. Finally, we get to self actualization. The peek of Maslow’s hierarchy of needs, self-actualization refers to deep characteristics that are hallmarks of an enlightened mind. These are characteristics exhibited by people who have achieved enlightenment (Read: How To Achieve Enlightenment). These are the highest traits an individual can possess, Maslow said, and importantly, they are not dependent on the lower needs. History is full of celebrated leaders, artist, politicians and other notables who were certainly self actualized but who did not have safety (the second level of the hierarchy of needs). Mahatma Ghandi is an obvious example. It might seem logical to think that to achieve self-actualization is a feat only the most gifted among us can achieve. But Maslow thought differently. He explained that the signs of self actualization are not any superhuman powers, but rather that the self-actualized individual is a regular mortal who has had nothing robbed of them. ‘I think of the self-actualizing man not as an ordinary man with something added, but rather as the ordinary man with nothing taken away,’ Maslow said. By the laws of nature, we are meant to be self-actualized. But life prevents us from being so. It can often seem impossible to achieve self actualization. The average person is far too concerned with the lower levels of the hierarchy of needs. They worry about achieving financial security and buying a home and things like that. They strive to fit in so that they belong. And of course, food, drink, and other necessities are always top of the mind. How can you achieve self actualization when you have all these other demands? In many ways, self actualization seems counterpoint to our modern-day concerns. Most needs are about material possession and social status; in other words, external factors. Self actualization is an inward matter, a psychological, spiritual, and personal need. How, then, do we begin to recognise and to fulfill our inward needs? How do we achieve self actualization? Meditation is a powerful way of discovering our inward needs and fulfilling them. Meditation enables us to quieten external noise, the superfluities of thoughts, and sensory reality so that we can see the truth within us. Meditation is unique in this. There is no other practice that leads to sustained insight in the manner meditation does. There are five meditations for self actualization that are particularly helpful for achieving self actualization. These self-actualization meditations produce insight, giving us a clear view of our deepest selves. They clear away the thoughts, doubts, fears, and worries holding us hostage. They free us to achieve our highest needs. Anapanasati is one of the most important Buddhist meditation techniques and has been in existence since around the 6th Century BC. Anapanasati begins by focusing the mind on the breath. We observe how the breath moves around the body. We then observe how thoughts and feelings come and go. It is a gentle process of inner observation. Anapanasati trains the mind to let go of superfluous thoughts and emotions. This in turn gives us the freedom and courage to focus on what truly matters: self actualization. Vipassana is similar to anapansati. It begins with mindfulness of breath. We simply observe the breath moving through the body. Then we begin to watch the mind. When the mind wanders, we observe this and label it. For instance, if the mind wanders towards a sound, we say “Sound” or “Hearing”. This technique trains the mind to see things for what they are. What makes this one of the best meditations for self actualization is that it gives us clear perception of reality (which is one of the signs of self actualization). Too often in life we take one thing to mean another. A very common example: we hear a door slam, fear an argument, and physiologically respond with a release of adrenaline. When the mind is able to simply say “That is just a sound” we stop being so reactive and we are more able to focus on our aims and on what actually matters. Trataka is one of the best meditations in yoga. Trataka means “Still Gazing”. It is a yogic meditation in which we focus the eyes on one thing. For instance, we may focus our gaze on a candle. We then hold the eyes still. Still eyes, it is said, will produce a still mind. When we train the eyes to be still we train the mind to be still. A still and balanced mind is more resilient, less likely to be led astray, and more able to focus. Self actualization can be thought of as returning to home. Maslow said that a self-actualized person is not a superhuman but a regular person stripped of nothing. When we return to our pure state we naturally achieve self actualization. One way to do this is with the Om mantra. A mantra is a sacred sound with healing powers. Om is the primordial and universal sound. It is a sound that returns us to our point of infinite creativity.And as Maslow said, one of the main signs of self actualization is creativity. In order to achieve self-actualization, we first need to know what our inner needs are. We must gain the insight to see and recognise our deepest truths. 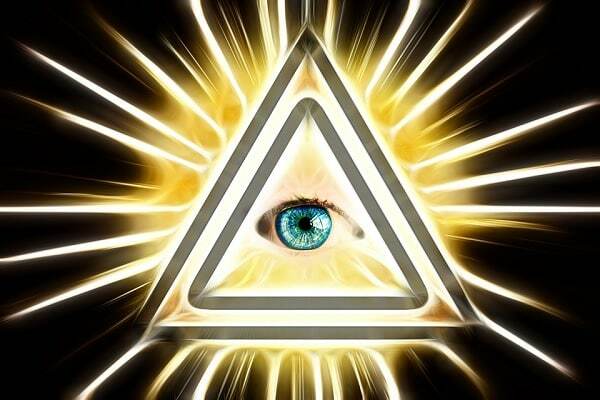 One way to access insight is to open the third-eye chakra (Ajna). When this chakra is activated we can see within; we can perceive our truest and deepest selves. One way to activate the third-eye chakra is with meditation. To do this, we use the Shambhavi mudra, which simply involves focusing the eyes on Ajna (the space between the eyebrows). Self actualization is the trait of the truly successful, not the ones with the material possessions, the ones who truly change the world. And it is a trait we all have the potential to achieve. How many of the signs of self actualization do you see in yourself? As a meditation teacher, I have helped many people use meditation for self actualization. Meditation can silence both external and internal noise, empowering us to perceive our true selves. We can then live true to our highest purpose, achieving self actualization.